St Catharine’s Catholic Primary School is inclusive and every child is inspired to challenge themselves and work to their very best ability – whatever standard that may be. All children have the opportunity to work at greater depth within the Curriculum. The school recognises that more able children can be good all-rounders, high achieving in one or more subject areas, high ability with low motivation/writing skills/social skills or even try to hide their talents. 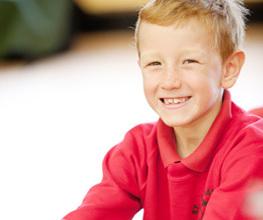 The ethos of the school is one of high aspiration and children are encouraged to excel and to let their light shine. 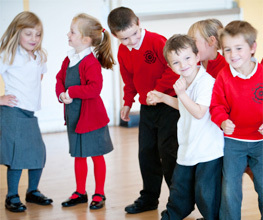 To ensure the more able thrive, different strategies are deployed to personalise each child’s learning journey including differentiation of activities, use of classroom extension activities, specific interventions, booster workshops, trips and visits, research tasks, effective questioning, theme days and opportunities for independent study. Pupils are selected to participate in a range of external enrichment Science, Mathematics Masterclasses, Sport and Performing Arts opportunities. 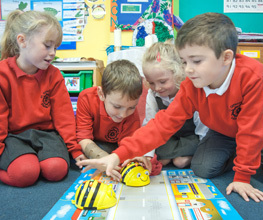 St Catharine’s is part of a small cluster of primary schools that works closely with Chipping Campden School, for example through the Ogden (Science) Trust. St Catharine’s also accesses Diocesan activities for pupils, sessions run by the North Cotswolds Cluster of schools and other national schemes, competitions and festivals. The school also supports the elite training needs and achievements of pupils outside of school.